First, you're buying a case that's larger than your immediate needs. You have your future expansion in order. The Squarp will get you going for sequencing. I'd also check out the following: Ornamets & Crime (micro) and Temps Utile (micro). Between the two you have quantizers, Euclidean gates, gate sequencers, CV + gate/ADSR sequencers, etc. You may also want a simple hardware sequencer (knobs and/or faders) like the Befaco Muxlicer. I'd also check out the Mimitec Digitalis by Noise Engineering for a 4x16 step CV sequencer (useful for modulating filters). I think the Squarp can do LFOs if I'm not mistaken. LFOs are great for evolving sounds, especially filters. Look into getting at least two ADSRs and at least four VCAs. Next up, switches/mutes. If you're going to be performing live, being able to mute CV, gates, and audio is very handy. DivKid just released a quad mute that also has momentary functionality. Joranalogue has the Switch 4 that can do the same but also includes a 4:1 rotary switch. Finally, effects. If you're doing ambient kinds of sound you'll definitely want reverb and possibly something granular like Clouds or the Intellijel Rainmaker. There are lots of options. Finally, mixers and output modules. Intellijel makes the Quadratt that fits in the 1U row. The 7U case also supports line level outputs if you buy the Intellijel output module. As far as mixers. I went with with a Blue Lantern Stereo Sir Mix A Lot. It was under $250 and has two FX sends. There are plenty of options out there for mixers as well. It depends on your needs. If you're West Coasting your sound, check out Noise Engineering's modules. It doesn't hurt to have a few analog oscillators as well. But for the time being, a Braids or Plaits module makes a great generic sound source to add to your 0-Coast. But the bottom line would be to buy one or two modules at a time and get a really good feel for them and experiment plugging them into the 0-Coast, especially modulating things you normally wouldn't. Thanks so much for your answer, you helped a lot to figure out what i need and confirm some things I had in mind, I'm going to check all the modules you mentioned. About VCOs, I have some doubts about what to choose, I know Plaits and I also wanted to try something more complex that allows me to do sounds which are difficult to obtain with my regular synths, I think I need at least three to do all the things I'd like to do at the same time. Surely one of the three will be a basic one but to start I'd like something that can give me a lot of possibilities. The first should be good for the ambient stuff, I wanted to buy a DPO but I'm not sure anymore it's the right choice, I'm also interested in trying a wavetable one in the future. 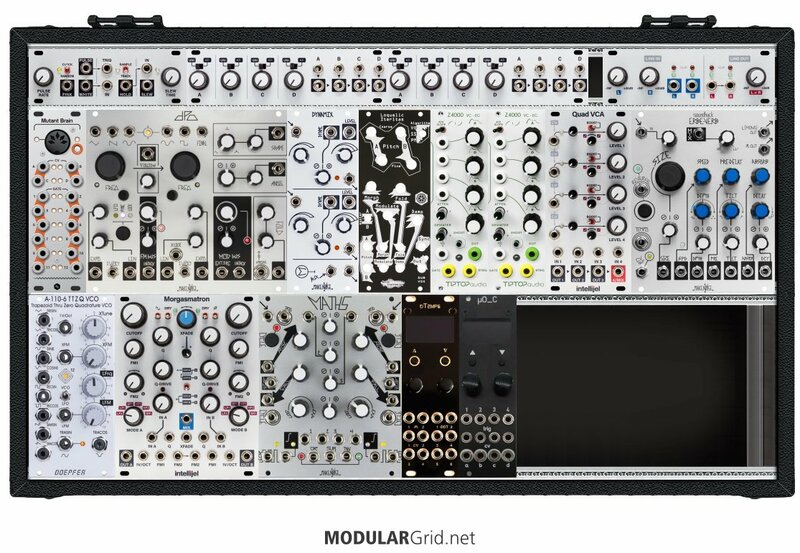 What about the Rubicon by Intellijel, could be good for what I have in mind? Or do you think a digital one is the right choice to start? There's a new complex VCO on the market, just hit in the last month: VOID Modular's Gravitational Waves. It has everything you'd expect out of the DPO, etc, plus an onboard ring mod. The two big differences here are the size and price: 18 hp, $250. You could fit one of these into a DPO's space and only need to clear 8 more hp to put in a second...and two together cost less than a single DPO. Sounds like a win to me! And yes, you do need three VCOs for maximal possibilities for sound design. Instead of the Rubicon, though...my take would be two of the above, plus a Doepfer A-110-6. That way, you also get TZFM capability along with a pair of West Coast-ish VCOs with a minimal footprint and minimal $$ outlay.